Violet's art education began in Ottawa at the old High School of Commerce in the special 'commercial art course' and continued to formal training in photography (Sheridan College), graphic art (Algonquin College) and fine art (Georgian College) and many week long courses during the summer (St. Lawrence College). 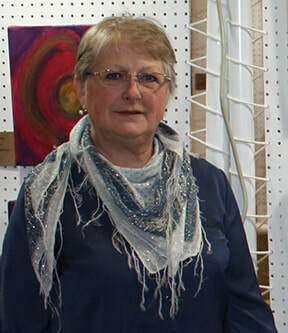 Until the summer of 2014 Violet taught full time at Algonquin College and now retired, creates art that, while working, could only be imagined. 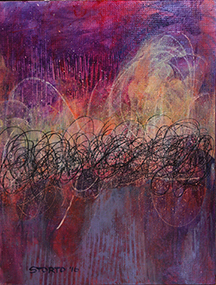 Violets medium of choice was oil but since she retired she had expanded and now focuses on mixed media. Using texture and colour, Violet builds compositions that express her creativity. I am interested in many things and feel that art helps me understand the world a little better. I love to play and experiment with different materials so my work has great diversity. 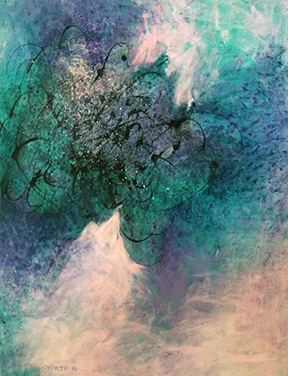 I believe my work demonstrates my love for the medium I am using and my joy in life, I am always trying to create something beautiful and positive to contribute to the world.